Explore mangrove forest by long-tail boat and encounter the abundant wildlife in the area including fish, monkeys, and birds. On this one day tour, ​you will cruise along the gulf of Thailand and plant the mangrove tree by yourself. Arrive in Samut Songkhram and stop by the railway market. Arrive in Klong Kon village where the mangrove forest located and have lunch. 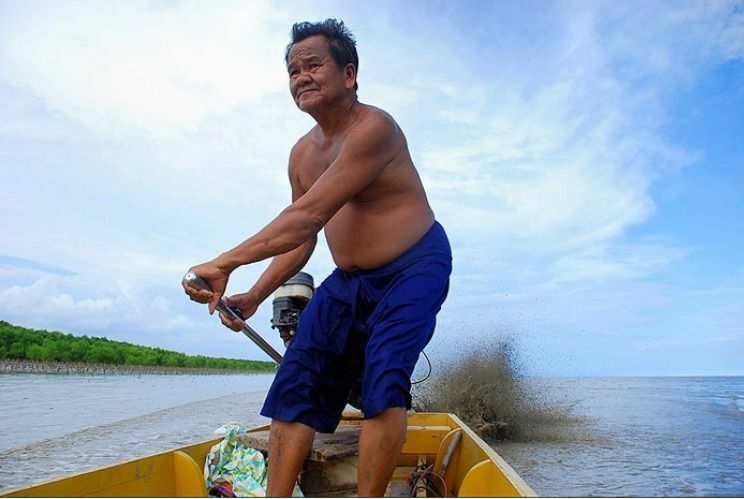 Discover the mangrove trees via a traditional long-tailed boat, planting trees and, collect mussels, etc. How many people get to experience all these things during your Bangkok trip really? You can be the one(s)! A wonderful experience - very much different from ordinary tours. Highly personal, up close, with the itineray of your choosing, and of course with a wonderful host - highly recommended! This trip was very laid back and Josephine organised everything very well. It showed a different side of Thailand than rushed up Bangkok and the personal touch of the tour (meeting her family) was surely something nice to do. Nature never fail to amaze me. I got a lot of great picture from the trip.